The 35th International Symposium on Lattice Field Theory (Lattice 2017) gathers a large community of theoretical particle physics researchers, experts in the study of strongly interacting systems – primarily Quantum Chromodynamics, the theory describing the strong interactions of quarks and gluons. The Symposium will be held from the 18th to the 24th of June 2017 in an exceptional location, Granada, a jewel of multicultural architecture and heritage. The Conference venue, the Granada Exhibition and Conference Centre, is very well situated in the centre of this historic city. 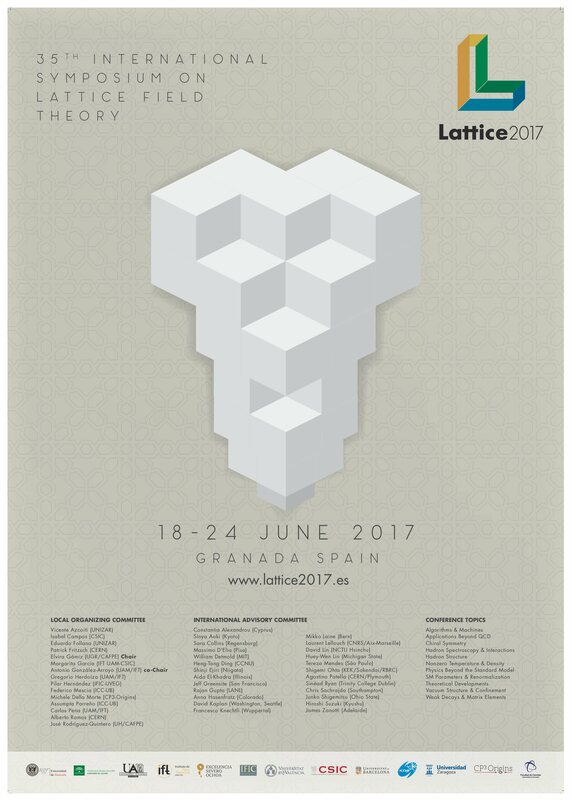 The Symposium will take place for the first time in Spain and is jointly organised by the Spanish Lattice Field Theory community.